One of the biggest perks of writing historical fiction, for me, is that it basically gives me an excuse to get lost in a whole fascinating world. I read about customs and myths, battles and kings, faith and liturgy, I study languages and listen to music, I watch documentaries... and I get to do this guilt-free, because it's research, right? Yay! Whether it's a voyage through a stormy sea with a host of Vikings, or a trip to the sleepy countryside in 19th century England, historical fiction is an escape to a different, faraway world. In this way, it's similar to fantasy and sci-fi (though futuristic sci-fi and dystopia tend to give these chilling feels of "oh my, can this really happen?"). Historical fiction is safe, because it deals with something that has already happened - and we can sink into it with a greater feeling of emotional security. On the other hand, part of its magic is in the very fact of its being real - which is a basic question we all, from children to adults, ask when hearing or reading a story: "Did this really happen?" The setting of my current historical fiction WIP is the same as in Land of the Lost Tribe - Ethiopia at the end of 9th and the beginning of 10th century. In particular, I'm drawing on the historical roots of the community of Ethiopian Jews, the Beta Israel, also known as the Falashas. Ethiopia is unique in the way of being Jewish before it was Christian. There are several theories as to how exactly this happened - some swear by the legend of King Solomon and Queen Sheba giving a start to a dynasty of Jewish kings; others, among them some of the more prominent Biblical historians, believe that an Israelite tribe, or tribes, migrated south via Egypt following the destruction of the first Temple. Either way, when Christianity did arrive in Ethiopia, it grafted itself not on paganism, as in almost every other part of the world, but on Judaism, which led to the formation of a church very closely associated with its Jewish sources (as the Ethiopian church remains to this day). My Ethiopian novels, both the published one and the one I'm currently working on, take place close to the decline of Aksum, a mighty Christian empire that was at one point reckoned among the greatest forces of the ancient world. The records from that time period, especially regarding the Beta Israel community, are far from precise, which is a good thing and a bad thing. Obviously, the more information an author has to draw upon, the better, but on the other hand, as I don't aim to write scholarly books, and my work is more in the realm of alternative history, vague data gives me more leeway to use my imagination without being accused of inaccuracy. Initially, writing in this setting began with my deep fascination with the history of Ethiopian Jews, and with searching for fiction to read. I wasn't looking for a scholarly work - I have read some of those, but what I really craved was a rich, intricately plotted novel to transport me to a long-gone world. As I didn't find it, what choice did I have but to write it myself? I admit I had some apprehensions due to the #notyourculture and #ownvoices tags which are pushed so hard today that people speak of kid toy teepees as "cultural appropriation". Was I allowed to write about the Beta Israel of Ethiopia without belonging to that particular ethnic group? Eventually I realized that, 1) it's better to share a story than have it remain untold, and 2) I will never be able to rest until I actually write it down. The novel I am currently working on focuses on Judith (Gudit), a legendary Ethiopian queen whose origins are shrouded in mystery. 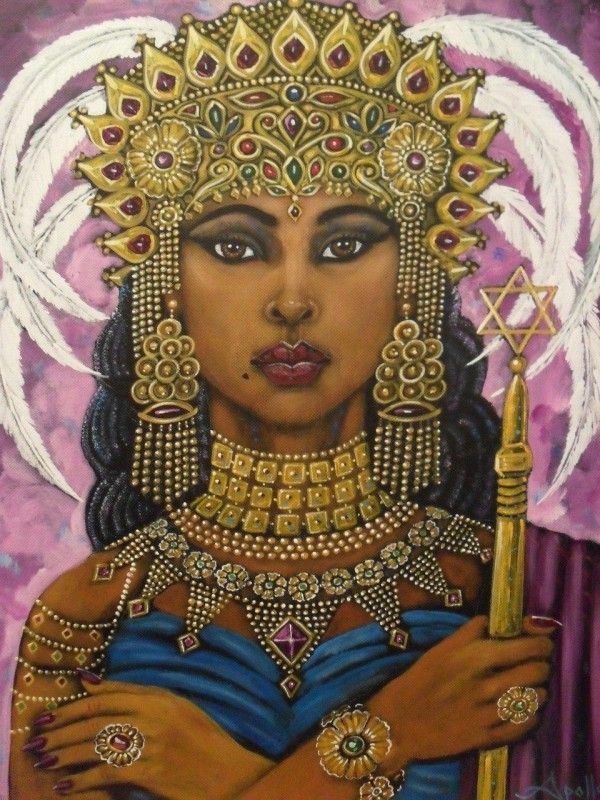 The Beta Israel tales claim Judith as their own, and this is the narrative I am going with, portraying Judith as a Jewish-African Daenerys Targaryen. Writing her story is one awesome journey, and in due time, I hope to take my readers along. Yes, Gave. Up. 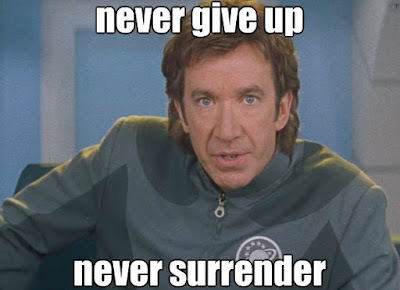 I know it sounds very unfashionable, with all the positive upbeat advice out there: "Never give up! You never know when it happens for you! The next query might just be the one!" 1. I've already done too much of it. I lost count a long time ago, but I estimate I have about 250 rejections (for a number of projects) under my belt. I don't even want to think how much time I have put into writing, rewriting, tweaking and sending my queries. 2. I have limited time and energy. I have four kids, including a baby. I homeschool; I freelance to help my family make ends meet. I can't afford to spend time on something that has consistently, for years, provided zero results. 3. Agents are swamped. You can be the most amazingly talented author, and you still have about 1% chance of landing an agent if you go the slush pile route. It may be different, indeed, if you have connections in the industry and/or can afford to go to conferences where you might grab the attention of the right people, but that's not the case for me. 4. That's not why I wanted to go professional anyway. My initial motivation, what propelled me to go from stay-at-home mom who dabbles in writing, to a writer-entrepreneur with a professional mindset, was mainly financial. We need extra money, so I made the leap of taking my writing to the next level. But being traditionally published isn't really about making money. It's more about prestige and recognition. It's a very slow haul, too. Even under the best of circumstances, an author will likely spend months getting an agent, the agent may easily spend up to a year pitching the book to publishers, and then it will likely spend another year in production. Bestselling indie author Alec Hutson has talked about how self-publishing his novel enabled him to write full-time, while had he been bent on trad pub, he'd still be querying and slugging away at his day job. No, self-publishing is not a get rich quick scheme, but it has a much faster turnaround than trad pub, which moves at a glacial pace. I have no regrets. I have learned so much about the publishing industry, writing, and the author community since I first started querying in 2014. I'm not bitter or negative; on the contrary, from now on I'm going to focus all my time and energy on the success of my indie writing enterprise, and stop hoping that someone is going to answer my call and take over from me. It's liberating and I feel at peace with my decision. That's not to say anything is written in stone. I might query in the future. I might decide to partner with agents/traditional publishers if certain projects become successful and are solicited. But for now, it's full steam ahead with this solo venture. In the past four years, I've made the journey from solitary writing in my private corner to researching the book industry, querying, being rejected, blundering onto KDP Select, getting to know the indie author community, editing, improving, tearing my hair out, signing with a publisher, reading all I can about writing, publishing, content marketing, writing to market, setting goals and mapping out plots, and... whew. It's been a long journey, and I most definitely haven't "arrived" yet. And somewhere along the way, I lost the pure joy of creation, the poetry and maps and drawings of dragons, and all that allowed me to become a writer in the first place. I got so caught up in word counts and deadlines, in content marketing and selling, in being grown-up and businesslike, that I forgot that in its basis, my writing was rooted in my refusal to ever grow up. I might be the mom of a large family, the dish do-er and diaper changer, but at the end of the day I still enjoy boarding the Hogwarts Express together with my children. So recently I've decided to let go. I have worked so hard and learned so much during the past couple of years, and it's so very important, but I can't go on writing if it isn't FUN. Writing has always been my creative outlet, my place of freedom. Giving that up means I'm left with NO creative outlet, and it isn't healthy for me. And let's get real, I'm not making that much money anyway. 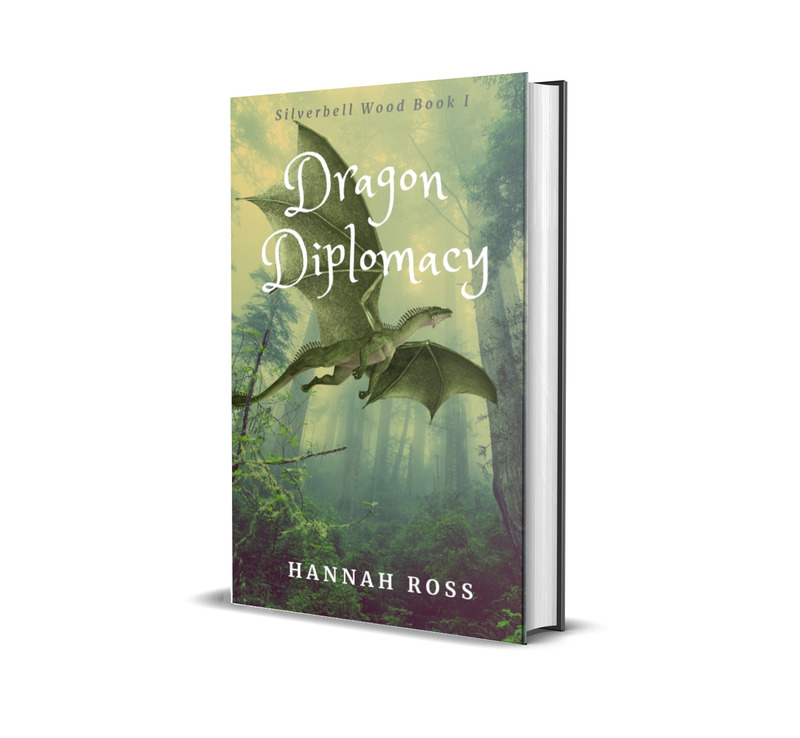 Next month, I'm planning to release my first Middle Grade novel, Dragon Diplomacy. It was written, like so many other children's books, to amuse my kids. I know this is unlikely to turn into a huge bestseller, but if I can share the joy of magic, dragons and fairies with a few more people, it's enough. There will be a sequel, even if the first book doesn't sell. Just for the fun and joy of it. At this moment I'm working on a historical novel which is unlikely to become a bestseller either. I have let go of the pressure of word count and am not thinking at all of when it might be finished or how much it will sell. It's an important story, it needs to be told, and I'm going to tell it, even if only a few people get to read it. I'm just celebrating every page I get to write and feel satisfied rather than drained. After this project is done and I emerge from my writing cave, I'll think about Amazon algorithms, book marketing and budgeting for covers and promotions again. But for now, excuse me while I charge my creative batteries.